The prerequisite for participation in society is access to information. Young people who are in transition to adulthood have to make decisions that will have a significant impact on their lives. Having equal access to quality and free information is a prior condition for them to make use of their rights; to make responsible decisions; and to participate in the social, economic and political dimensions of society. 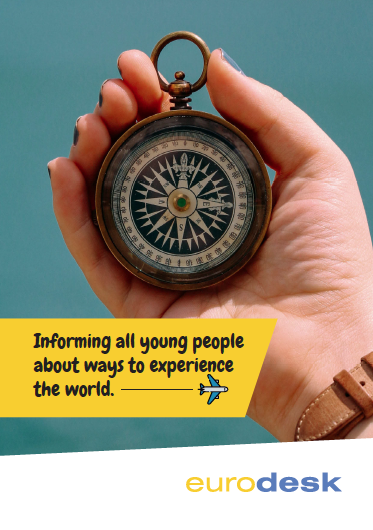 Youth information was derived in 1960 as a service that would support and guide young people in making important decisions. It was unique in the way that it addressed young people, in a youth-friendly language, through channels and settings that would speak to them and that would take into account their transitioning in life. Youth learning mobility is a concept that has become more and more popular since the implementation of Erasmus+ and international mobility schemes. The term 'Learning mobility in the field of youth' refer to the mobility of young people across countries, inside and outside Europe, in formal and non-formal learning settings, mostly carried out in frames of exchange programmes. Learning mobility has shown to be one of the most effective ways to empower young people by providing them an opportunity to learn in different cultural contexts, develop valuable personal skills and professional competences and enhance their autonomy and responsibility. 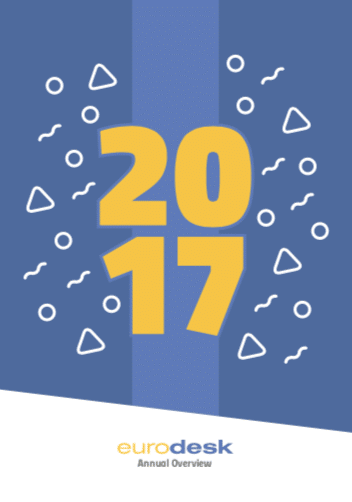 Eurodesk has since its inception in 1990, promoted the value of learning mobility in empowering young people at an age that is significant to their development. 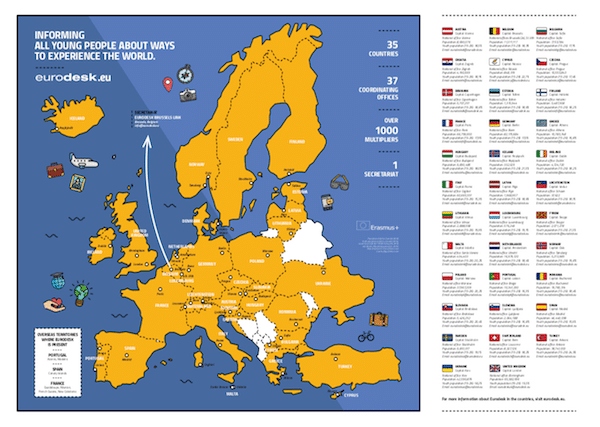 With the mission to raise awareness among young people on mobility opportunities in order to encourage them to become active citizens, Eurodesk informs, reaches out to, guides, supports and motivates millions of young people in 36 countries in Europe. Eurodesk works together with over 1000 local, national and European stakeholders. They are central in reaching out to young people; improving and providing information about mobility opportunities to young people; and creating and implementing policies for and with young people for a more inclusive and participative Europe. 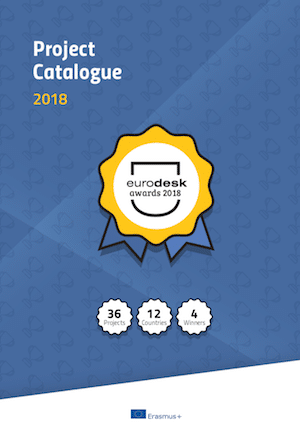 Do you have more questions about Eurodesk?